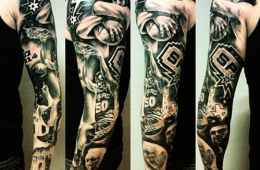 Came across this epic San Antonio Spurs tattoo sleeve a few days ago in the Spurs Talk forum and after a few days of research. 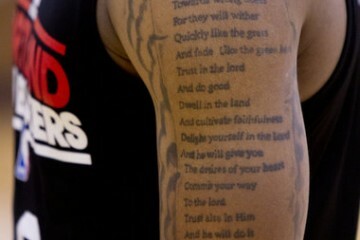 Birdman is famous for having maybe the most tattoos in the league. For your regular ink addict, this would cost a fortune. 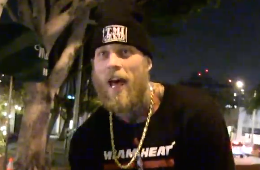 For the Birdman, not so much. 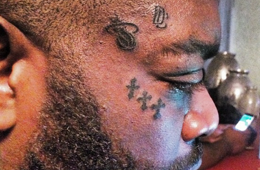 Rick Ross is worth $35 million and that kinda money affords one to do a lot of cool things, like getting a tattoo of the Miami Heat logo on their face. 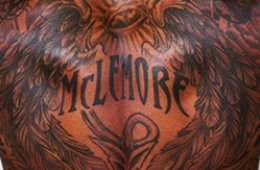 Sacramento Kings guard Ben McLemore recently he hooked up with the Athletes Quarterly to explain the story behind some of his favorite tattoos. Nick Young recently did an interview and photoshoot with DeJour Magazine and as per usual, Swaggy P was on full Swaggy P with his words and threads. Beats by Dre. 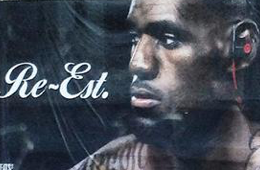 recently unveiled this gigantic poster featuring LeBron James showing his Akron shoulder tattoo as part of their Re-established campaign. 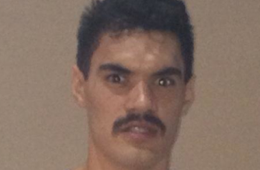 OKC Thunder second year forward Steven Adams begins his sophomore NBA campaign with a solid lead in the leagues best moustache category. 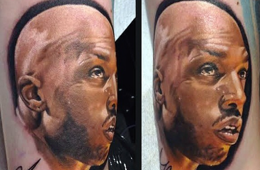 The best Chauncey Billups tattoo artist resides in Italy. 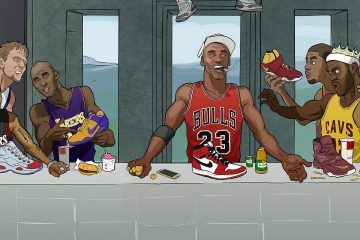 No contest. 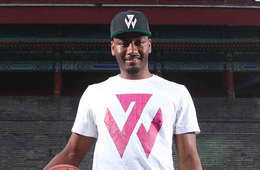 adidas and John Wall began their Take on Summer Tour in style by hosting a dunk and three-point contest on a court built on the Great Wall of China. 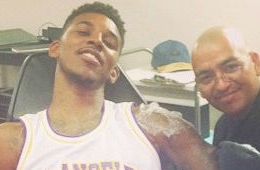 If you ever stayed up late at night wondering why Nick Young only has tattoos on his left arm. 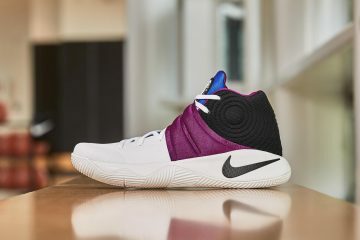 The Swaggy one recently provided an answer to that riddle. Still keeping himself mostly on the low these days. 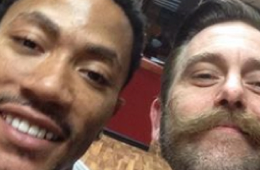 Derrick Rose recently resurfaced to get a nicely detailed Martin Luther King tattoo from Shred’s Inferno in Chicago. 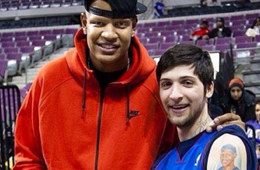 At first I thought this fan only had one Charlie Villanueva and Pistons tattoo to show his love for the "D", but upon further review. Mission complete. 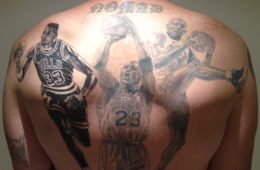 A while ago Adam Howes began his aim to get Dennis Rodman, Michael Jordan and Scottie Pippen tattooed on his back. 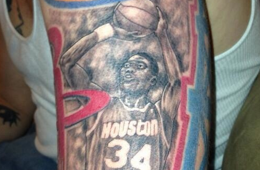 Matt Harris who can prove he loves H-Town sports more than you, recently got some work done on his Hakeem Olajuwon tattoo that sits beneath an Astros logo and in between a Rockets and Oilers logo on his arm.